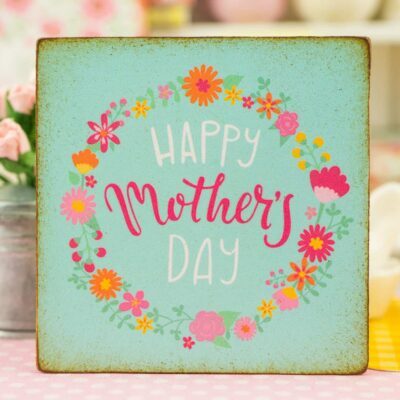 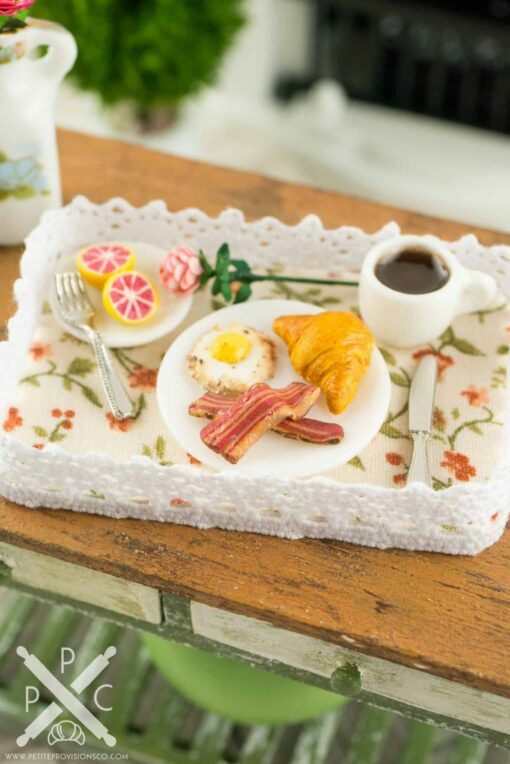 Dollhouse Miniature Mother's Day Breakfast Tray - 1:12 Dollhouse Miniature - The Petite Provisions Co.
What dollhouse kitchen is complete without an adorable breakfast tray for mom on Mother's Day? 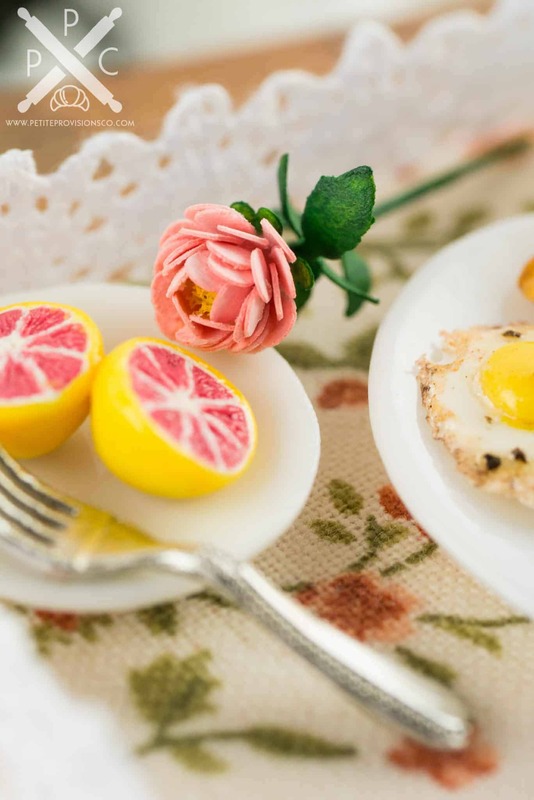 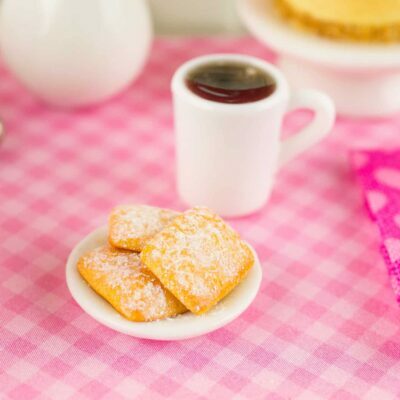 Whether you have a dollhouse or just love all things tiny, these bite-sized breakfast treats are too cute to resist! 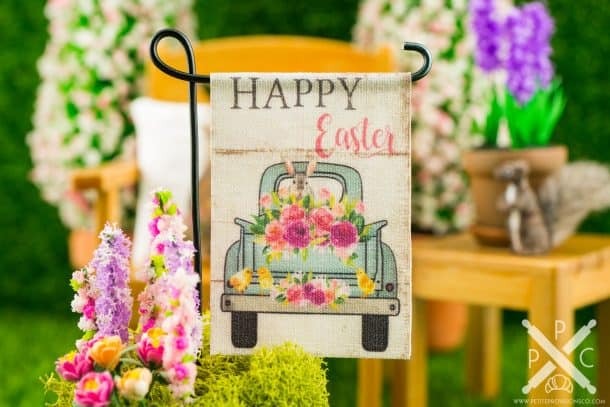 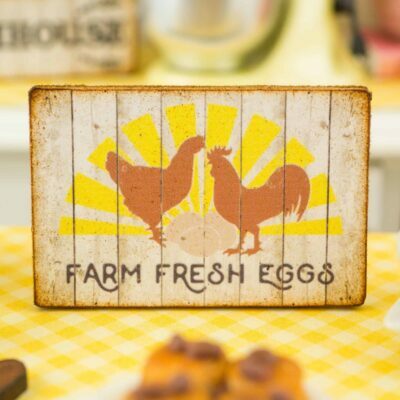 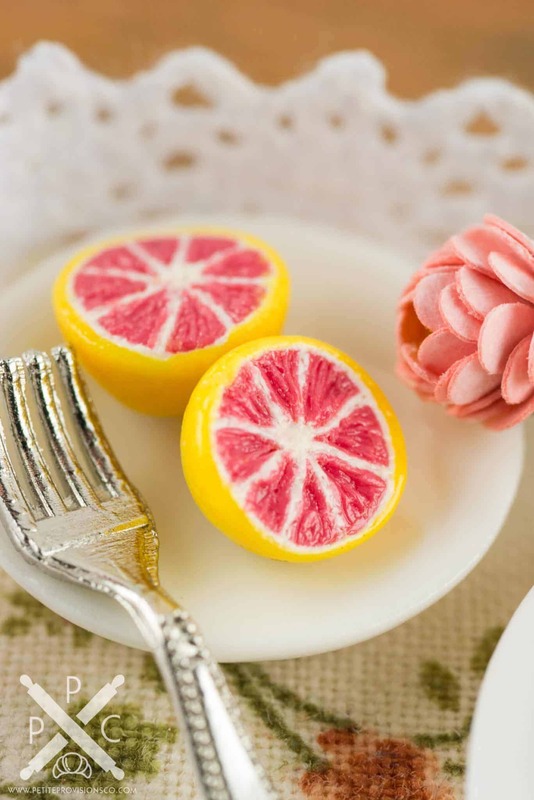 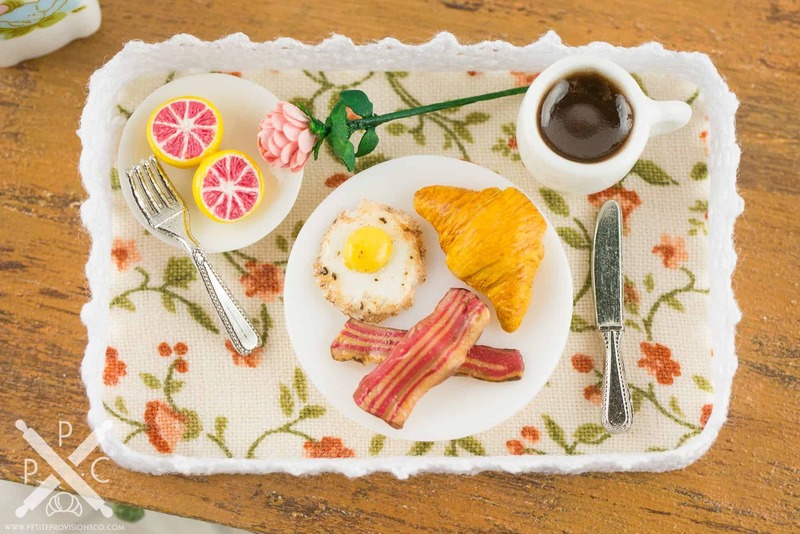 A small plate with two pink grapefruit halves, a cup of black coffee, a fork and knife, a pink peony, and a plate with a croissant, two crispy slices of bacon and a fried egg, all atop a floral fabric-lined wooden breakfast tray trimmed in lace. 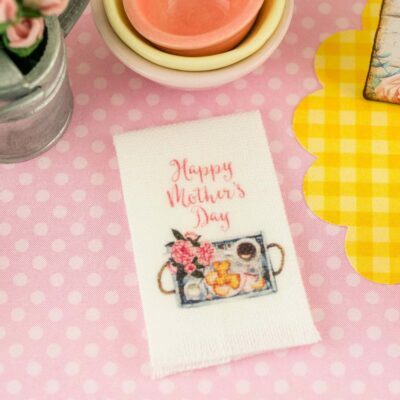 The tray measures 2-1/8″ long by 1-1/2″ wide. 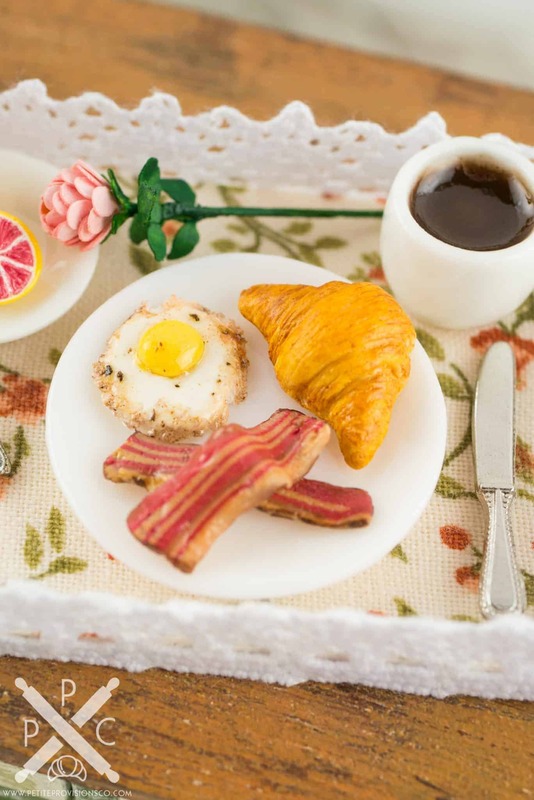 The breakfast foods are permanently attached to the plates, but all of the other items are loose to arrange to your heart’s content.